PT Bank Pembangunan Daerah Kalimantan Timur dan Kalimantan Utara Syariah - PT BPD Kaltim Kaltara Syariah or known as Bankaltimkaltara Syariah is a well-established regional government-owned company in Indonesia, running business in sharia banking industry. PT BPD Kaltim Kaltara Syariah is a sharia business unit of PT Bank Pembangunan Daerah Kalimantan Timur dan Kalimantan Utara or PT BPB Kaltim Kaltara, a regional development bank of the province of East Kalimantan and North Kalimantan. PT BPB Kaltim Kaltara is owned together by the provincial and municipal/regency governments in East Kalimantan and North Kalimantan provinces. The share holders composition of PT BPD Kaltim Kaltara comprise of Government of East Kalimantan (37.48%), the provincial government of North Kalimantan (4.64%), all District/City government in East Kalimantan (40.08%) and all District/City government in North Kalimantan (17.80%). 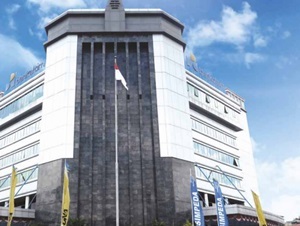 According to information found in PT BPD Kaltim Kaltara's website as cited by JobsCDC.com, Bankaltimtara Syariah officially started operations in 2006. As of December 2017, PT BPD Kaltim Kaltara Syariah has 2 sharia domestic branch offices, 15 sharia domestic sub branch offices, 4 sharia cash offices, and 2 sharia cash roving units. JobsCDC.com now available on android device. Download now on Google Play here. Please be aware of recruitment fraud. The entire stage of this selection process is free of charge. PT BPD Kaltim Kaltara Syariah - D3 Fresh Graduate Frontliner Bankaltimtara Syariah December 2018 will never ask for fees or upfront payments for any purposes during the recruitment process such as transportation and accommodation.